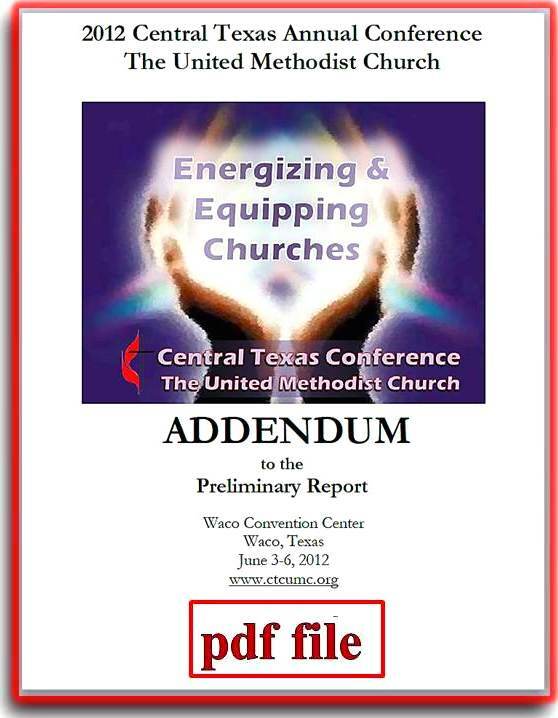 Click on the appropriate image below to download an electronic version of the 2012 Central Texas Annual Conference Preliminary Report and the Addendum to the Preliminary Report. The Preliminary Report and the Addendum are available as pdf, ePub (for iPhone, iPad and Android devices) and mobi (for e-readers like Kindle and Nook) files. I have just finished updating the addendum and the preliminary report please download these files again as there has been major updates to make the files easily readable on ereaders. Please be patient as these are very large files and downloads can take up to several minutes depending on the bandwidth and download speed of your internet connection. Click Here for instructions on how to access Epub and Mobi files. 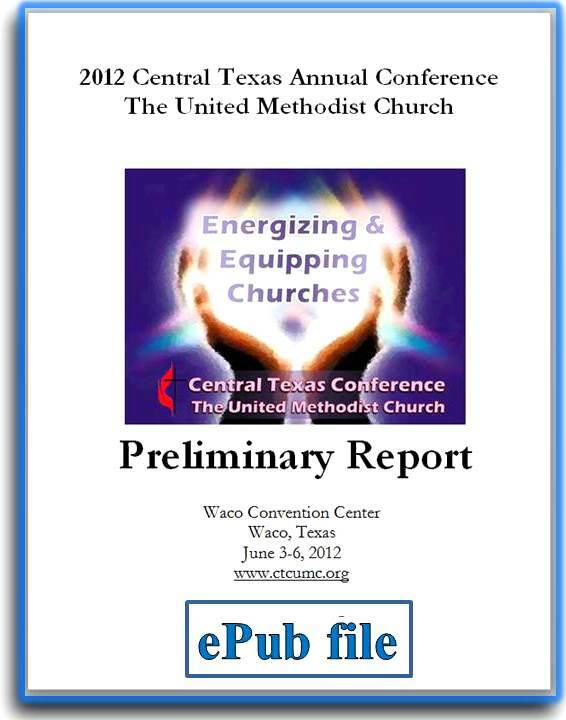 If you experience technical difficulties or have questions regarding these files, contact Calvin Scott at calvin@ctcumc.org.